The Ford Mustang GT has all new settings and features for performance with the latest 2019 version. These new settings can help you personalize your driving experience, including five different settings for your engine. You can also choose the Active Valve Performance Exhaust system to change the sound of your exhaust. This was specifically requested of Ford by drivers who wanted to start in a whisper quiet mode in the mornings to avoid comments from neighbors. Three row midsize SUV's are becoming increasingly popular thanks to their ability to include more comfort features without losing the extra space and superior performance features that make SUV's unique. 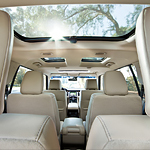 That is why our team here at Lithia Ford Lincoln of Boise are so excited to tell you all about the various comfort features in the all-new 2019 Ford Flex! The sedan market is picking back up a bit, and rightfully so. 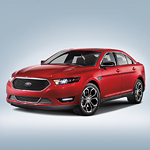 Vehicles like the Ford Taurus have been around for a long time, providing affordability with comfort and convenience. 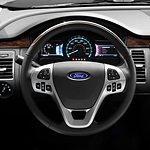 When it comes to the Ford Taurus, the interior is packed with great features. You'll be able to enjoy convenience features like a heated steering wheel, heated front seats and cooling front seats. You can opt to upgrade the rear seats to this degree as well. Leather seating is available in both gray and black. 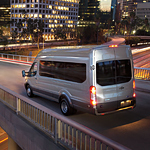 The Ford Transit is a great full-size van that is popular with families as well as our commercial customers at Lithia Ford Lincoln of Boise. In addition to its versatility, it offers a host of comfort features that make you feel like you are in a high-end vehicle. When the job calls for a heavy-duty pickup, the Ford Super Duty will step up to get the job done. 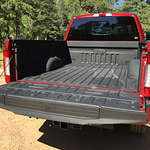 This popular heavy-duty pickup offers advanced technology to make it one of the toughest trucks on the market. Let’s see why it is so tough. The new Ford EcoSport is equipped to take you on any adventure you desire on the road of life. This popular compact SUV comes loaded with a host of impressive capability features, all designed to showcase both function and style. But don't take our word for it! Come for yourself at Lithia Ford Lincoln of Boise. 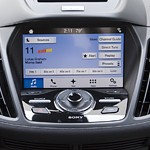 The Ford Escape is known for its technology. 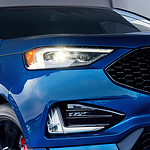 At Lithia Ford Lincoln of Boise, we’ll show you the Ford Escape and all of the different features so that you can enjoy driving more in Boise, ID. This ensures that you can add convenience to any trip while making it safer, too. When the new Ford Flex arrived at Lithia Ford Lincoln of Boise, our team knew we had to tell buyers about some of the features. 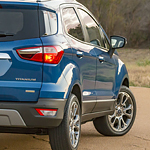 This popular three-row midsize SUV comes with a few convenience features making driving easier. 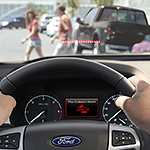 In a recent press release, Ford has announced that it will equip its 2019 cars, trucks, and SUVs with the Ford Co-Pilot360. This is a unique package of innovative driver-assist technologies. Our staff at Lithia Ford Lincoln of Boise works hard to keep our consumers informed about the features that are included with our vehicles, so you can learn more about the Ford Co-Pilot360 below.